The Sarasota County Sheriff’s Office arrested a convicted felon with six outstanding warrants, after he fled from deputies, struck two patrol cars, and ran across the interstate. On Thursday just before 3:00 p.m., deputies made contact with Joey Hoflock, DOB 09/24/88, in the 2100 block of N. Washington Blvd., in Sarasota. As deputies attempted to take Hoflock into custody, he started his vehicle and rammed into a patrol car, forcing the deputy to jump out of the way. Hoflock then fled the scene however, was soon located in the area of N. Lockwood Ridge Road and University Parkway. A pursuit ensued along University Parkway eventually southbound onto Cattlemen Road, where Hoflock struck another deputy’s car. Hoflock then fled his disabled vehicle and ran on foot across Cattlemen Road, into the southbound lanes of I-75. The agency’s K-9 and Aviation Units responded to assist deputies who eventually took Hoflock into custody in the median. 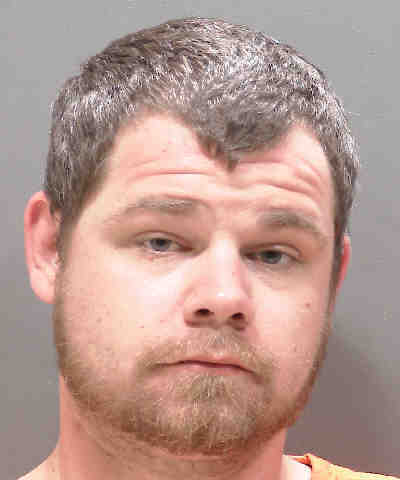 Hoflock, of 8198 Natures Way, #14, Lakewood Ranch, is charged with Aggravated Battery on a Law Enforcement Officer, Aggravated Assault on a Law Enforcement Officer, Aggravated Fleeing to Elude, and two counts of Resisting Arrest. At the time of his arrest, Hoflock had six outstanding warrants for Theft and Robbery. A convicted felon, Hoflock served time in prison for similar crimes. Today he remains in custody at the Sarasota County Jail while the investigation continues and additional charges are pending.